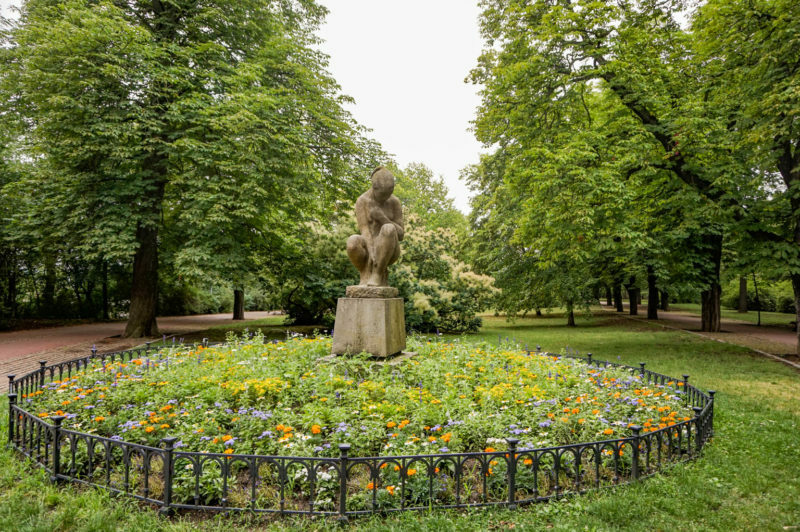 Letna Park provides several amazing views to the Prague city center and contains the numerous surprises in its greenery. From the futuristic restaurant of Expo58 and chateau with a beer garden to the former monument of Stalin. These are just a few places that are worthwhile to discover. So, have a closer look further, I will show you around. Just on the right side of the Prague Castle, you can see vast greenery on the hill. 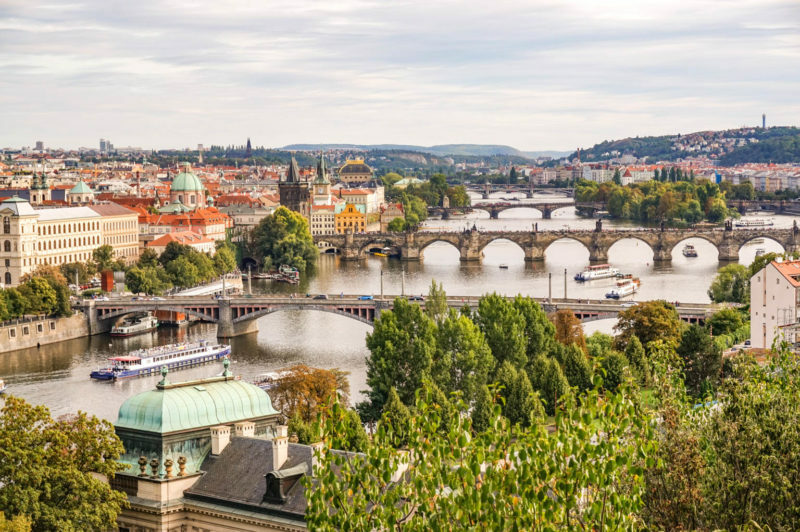 It’s a Letna district with a park providing great views to the city center, bridges on the river, Prague Castle and the Petřín hill (the one with small Eiffel Tower). 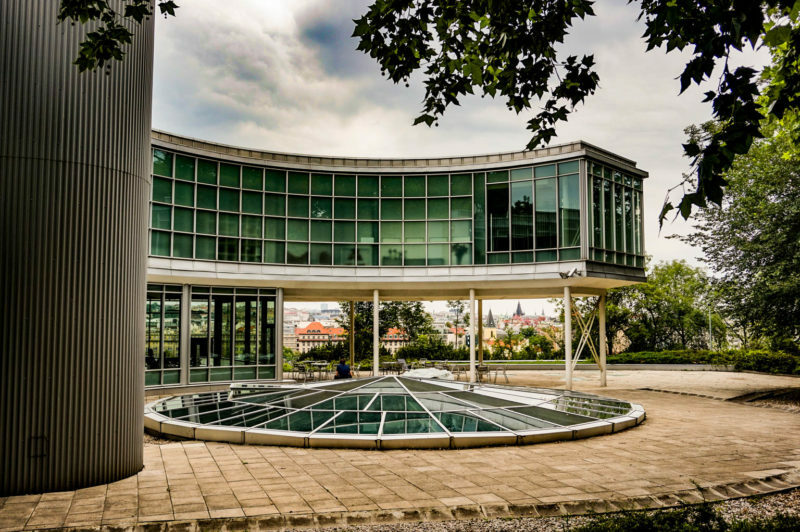 I would recommend starting your walking tour at Strossmayerovo náměstí and walk by Skalecká street, that brings you to the Expo58. 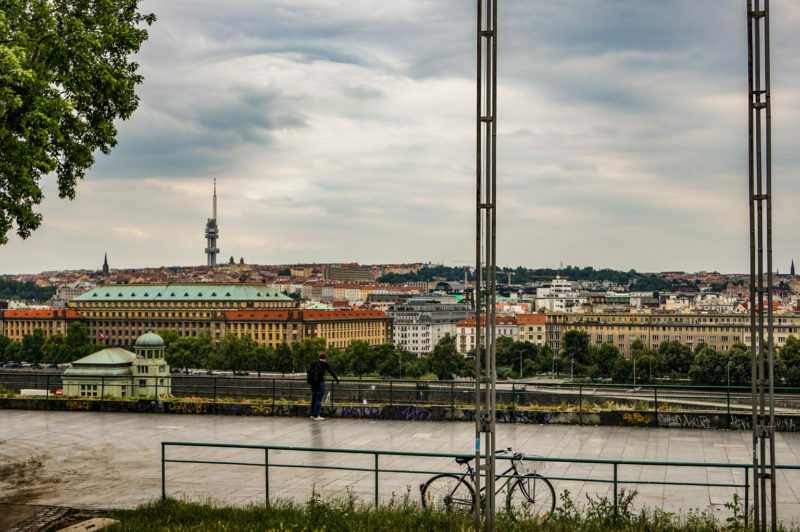 It’s a modern building hidden in the trees, with a huge terrace that provides a beautiful view of the river, Žižkov tower, and the Vítkov hill. The construction was ordered by the communist regime to show the progress in the Czechoslovakia architecture at the world exhibition Expo58. The building gained several prices and then was moved back to Prague. Continuing further, you will reach soon the small chateau called Letenský zámeček. 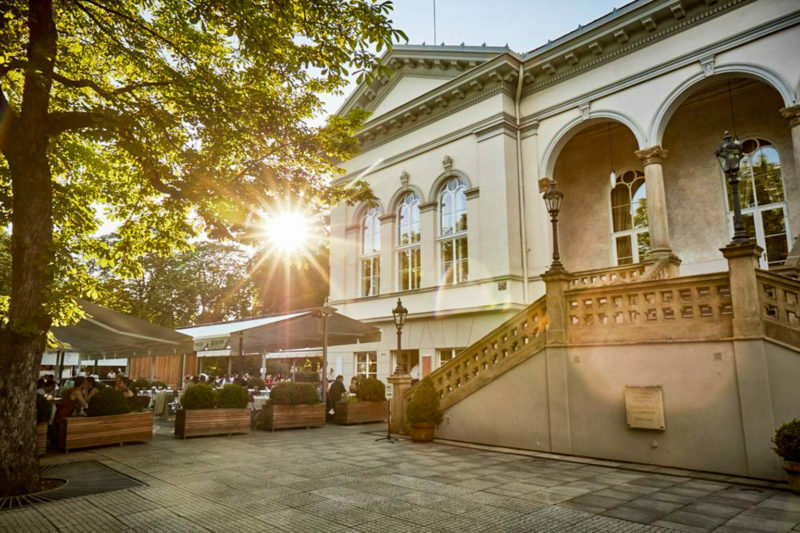 There is a beautiful restaurant in neo-renaissance style and the huge beer garden with a great view of the Prague city center. This is a trendy place both for locals and foreigners since it provides a unique atmosphere and the authentic experience of the Czech lifestyle. 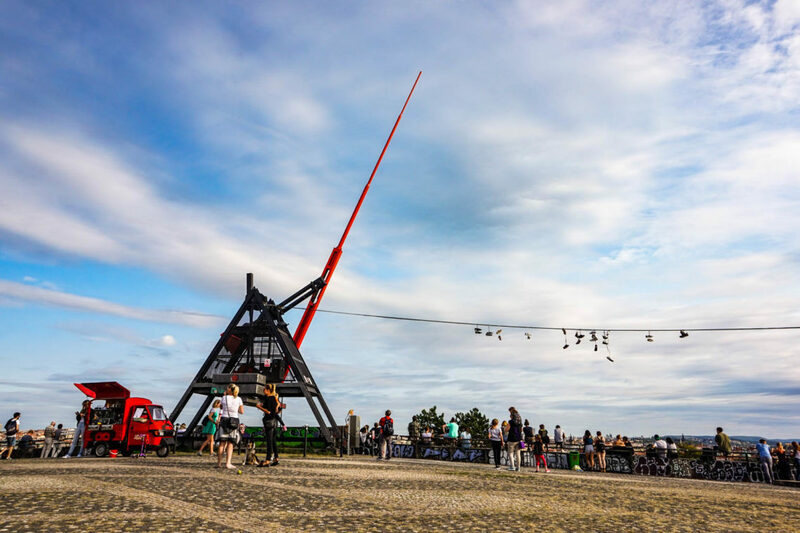 After refreshing drinks with a great view, continue by the park to the Metronome that is standing on the place of former Stalin’s monument. 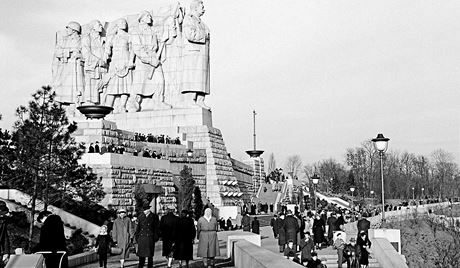 Statue of Stalin was completed in 1955 and destroyed “secretly” in 1962 when the cult of Stalin was over. The poor architect of the monument killed himself before the revelation. 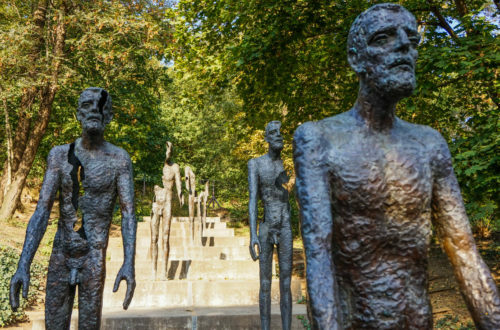 Initially, he worked on the monument of the first Czechoslovakian democratic president Tomáš Garrigue Masaryk and the communist regime ordered to create a Stalin monument instead. After the revolution in 1990, pirate Radio Stalin operated from the bomb shelter under the monument. Later, there was a first rock club in Prague. Today, the shelter is closed for public. However, it is under reconstruction to be open for an exhibition soon. 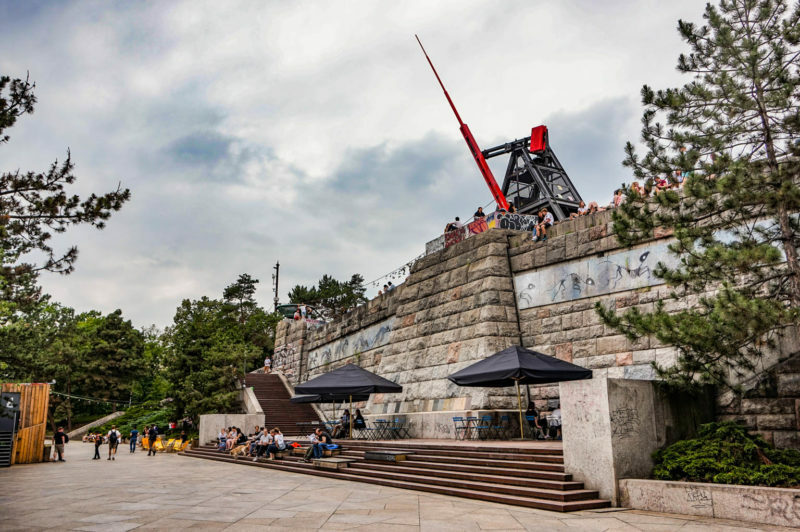 Stalin monument was replaced by Metronome in 1991 and today is a favorite place for summer activities, concerts, dancing, skateboarding and especially, watching the sunset. 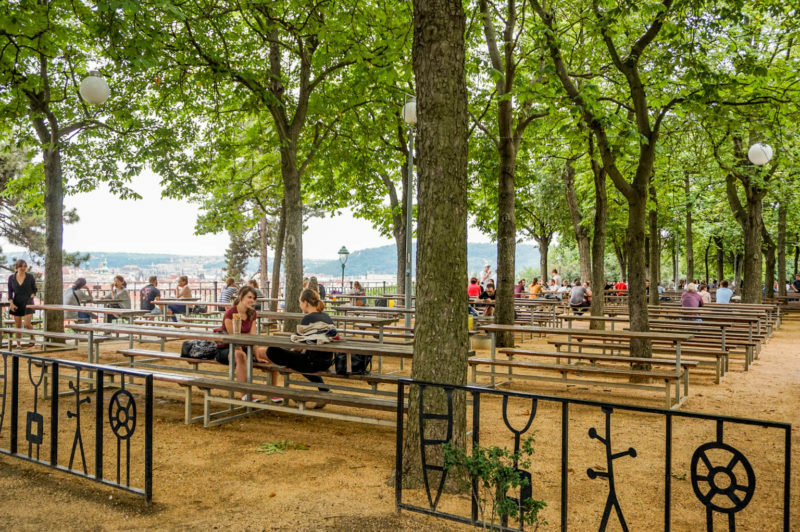 At the end of the park is a beautiful Art Nouveau pavilion that admired even a famous architect Le Corbusier. 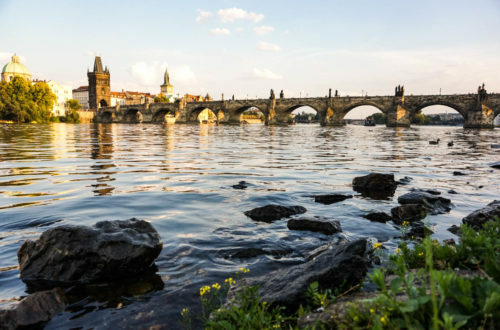 There you will find one of the most beautiful panoramic views of the Prague bridges. 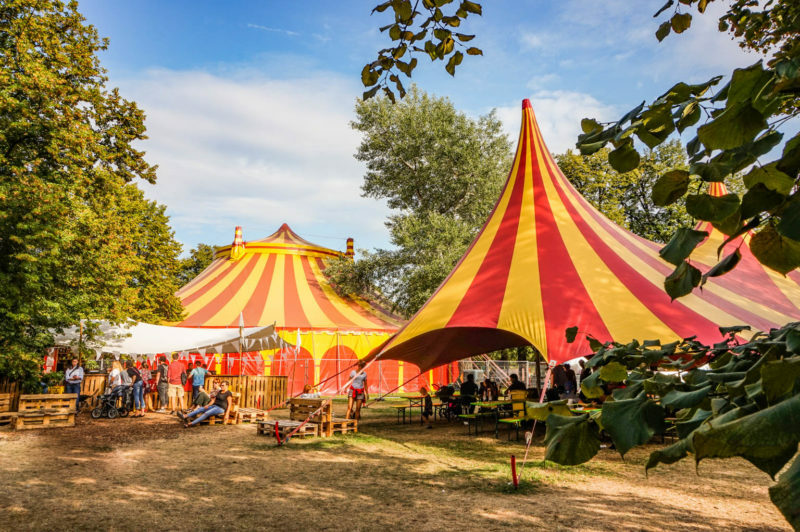 Every year in August, this final part of the park is fully packed with performances of new circus thanks to the famous festival Letní Letná. You can enjoy performances by a renowned artist from around the world. Check the program here and make sure you don’t miss it next time since it’s an epic experience. If you don’t want to wait until August, check the program of Jatka78 here where you can find the program of various performances during the whole year. 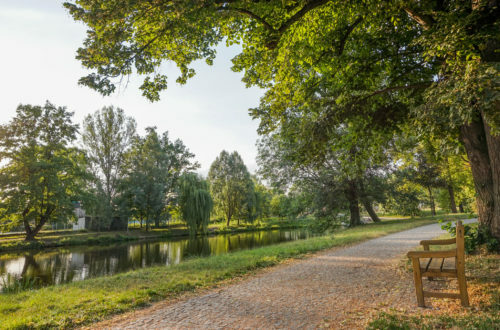 I recommend starting your walk from Strossmayerovo náměstí tram station, by the Skalecká street that took you directly to the park. 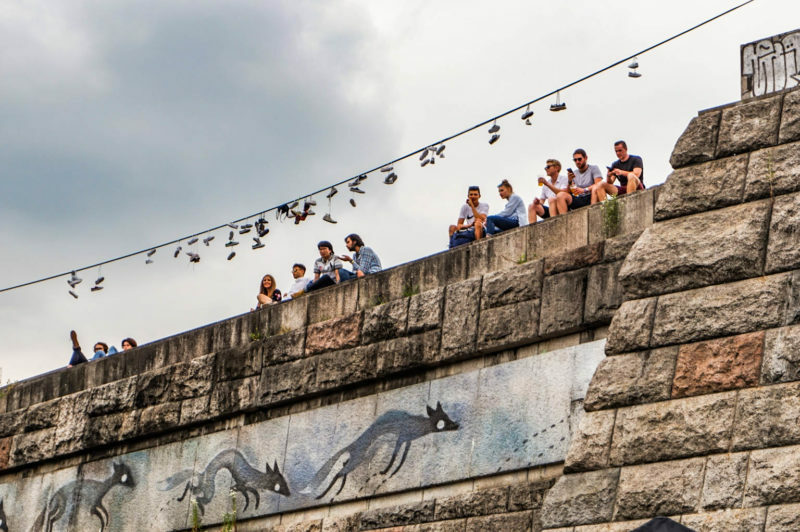 Then, finish close by the Art nouveau pavilion where you can continue to the tram station Chotkovy sady or even further to metro station Hradčanská. 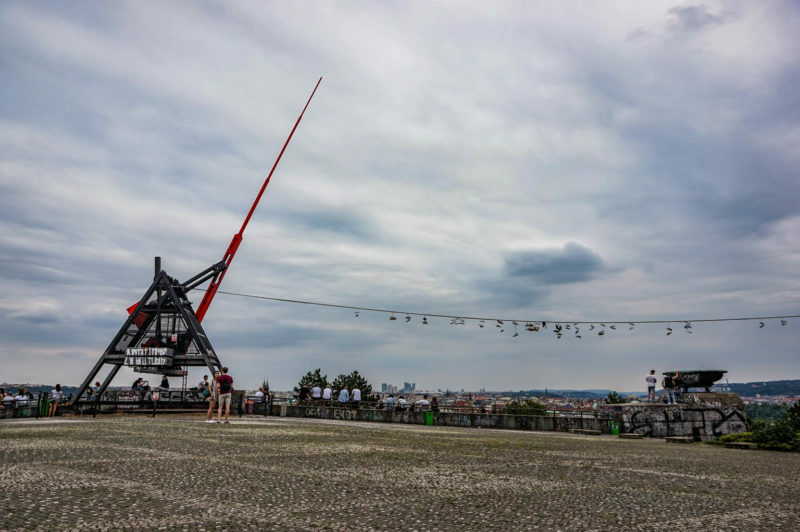 If you want to visit only the Metronome where most of the people hang out, take a tram 5, 15 or 17 to the stop Čechův most.